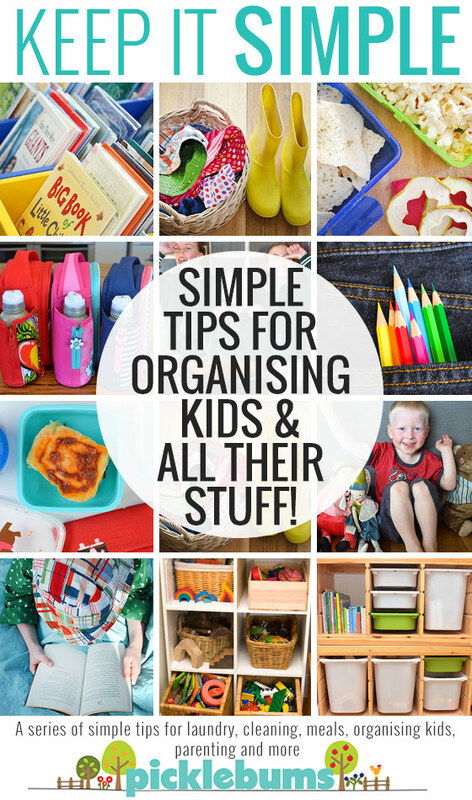 Simple Tips for Organising Kids and All Their Stuff! 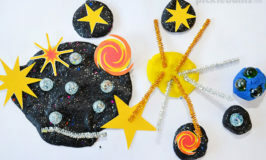 Preschool, school, toys, activities… having kids brings a whole new lot of challenges when it comes to being organised. This week’s post in the ‘Keep it simple series’ is all about simple tips for organising kids, and all their stuff! It’s winter break here and all my kids are home from school for two weeks – routines and organisation have totally flown out the window! It’s lovely not having to worry about school lunches and after school activities and where that darn shoe is, but I know it won’t last. Next week we’re back at school, and preschool, and all the activities, and the insanity will start all over again. So this week I’m putting in a little time preparing and organising the kids and all their stuff to hopefully make our lives a little easier when school starts again. Simple Tips for Organising Kids, and all their Stuff! Kids get overwhelmed by too much stuff just as much as adults do, and it definitely doesn’t help when it comes to packing up. Teaching our kids that ‘less is more’ and how to let go of ‘stuff’ is a valuable lesson to learn early on. Making it easy for the kids to pack up and look after their things will make them much more likely to do it and of course it also makes it easier on us parents too. Instigate the ‘two of per person rule’ – two towels, two sets of sheets, two cups etc. One to use, one in the wash. While you are at it, allocate colours for each child that way there is no arguments about who left the wet towel on the floor! Use clearly label storage systems with lots of space – they won’t have to dump out the whole toy box if they can easily find that one thing they are looking for and it’s hard to put away your clothes when your drawers are full to bursting. Use rotating storage for toys and seasonal clothing so you can keep less items in their rooms, making it easier for them to pack up. Have a once a week room clean routine – the rest of the time shut the door on older kid’s rooms! Store things where they are used/dumped – have box near the door so shoes can be dumped in when you get home and easily found when you leave, the same thing works for hats and sunscreen in summer. Have an after school routine that includes a place to put lunch boxes and notices/paper work so nothing gets lost or missed. Hanging shoe organisers can store lots of kid stuff in small spaces – on the back of the door, inside a wardrobe. Let go or store – I know it can be hard to let of those tiny first shoes, not to mention all the amazing art your kids create, but choose carefully what you will keep, and let the rest go. Photograph items and art work to save them without the clutter. Once you have kids you may struggle to be on time to anything ever again, but when being a little late is not an option you need to set yourself up for a successful exit! Prepare the day/night before – pack lunches and bags and gather everything you need for the next day so it’s ready and waiting. Have a regular routine – that doesn’t mean it has to be a strict schedule that never changes, but having a good foundation routine helps kids know what is supposed to happen next so they can prepare and transition better, and it also helps them cope with any changes. Do less! DO they really need to do an activity every night after school? Planning ‘do nothing’ time for kids is just as important! For younger kids use a visual schedule like these fabulous free printable routine cards from Childhood101. Older kids can use the free printable weekly planner I shared in last week’s post about simple organisation tips. 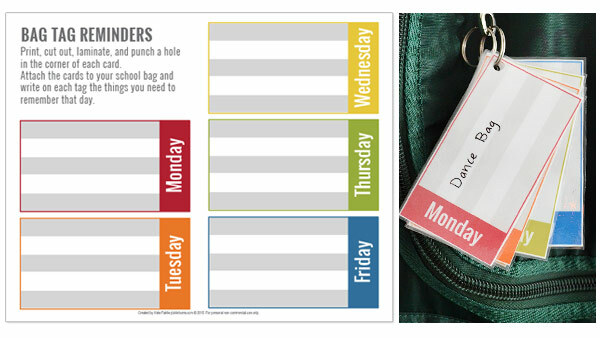 For a great last minute reminder you can use these great free printable bag tag reminders – just print, cut out, laminate, punch a hole in the corner and hang them on your bag. Write whatever it is you need to remember on each day – I use a sharpie over the laminate then I can use the old ‘white board over permanent marker’ trick to get it off if/when I need to change what is on each tag. You can download the free printable bag tag reminders here. This free printable is an A4 sized pdf file, if you are printing on US ‘letter sized’ paper be sure to select ‘fit’ or ‘shrink to fit’ from your printer options. 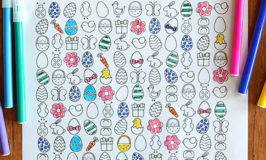 All Picklebums free printables are for personal use only, you may not sell, share, or link directly to these files. What awesome organisation tips can you add to this list? Funny that the comment above criticizes your (correct) spelling yet uses “your” instead of “you’re”! Great blog and tips – thank you! Love your ideas and your printable! Thank you so much! Your brilliant! Thank you for the tags! They are going to help in my house! Home » Simple Tips for Organising Kids and All Their Stuff!